We’re committed to offering our customers the best in print innovation. 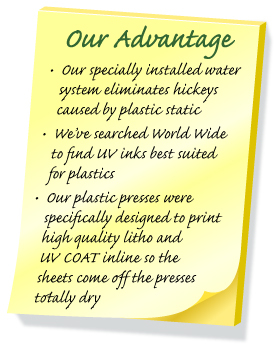 Our Instant Dry Technology ensures each job is dry immediately off press and UV coated. We’re pretty sure your print job needs to be somewhere else other than in our shop drying. Our all in line process will have your jobs packaged and shipped to you faster! Instant Dry Printing means your job is In and Out in no time – Not many printers can brag about that!